Guilt-free chocolate! These moisturizing body scrub cubes are individually portioned so that you can conveniently take them into the shower as you use them. They are preservative free because they are not meant to have your wet hands hand dip into the container like traditional sugar scrubs. The chocolate and vanilla scent might tempt you to eat them! 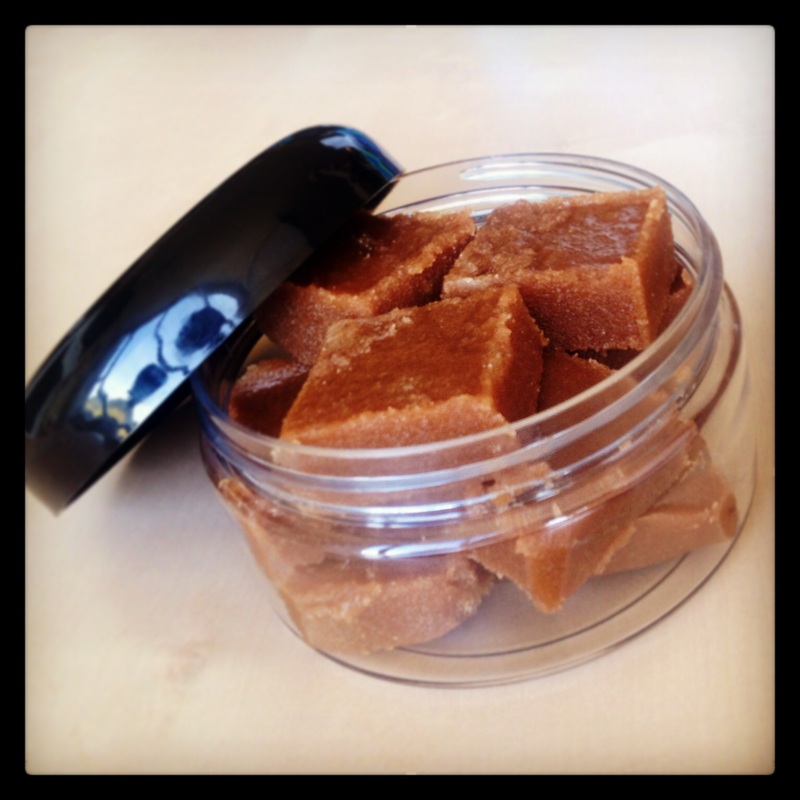 They are made with skin loving ingredients like sugar, beeswax, and jojoba oil. 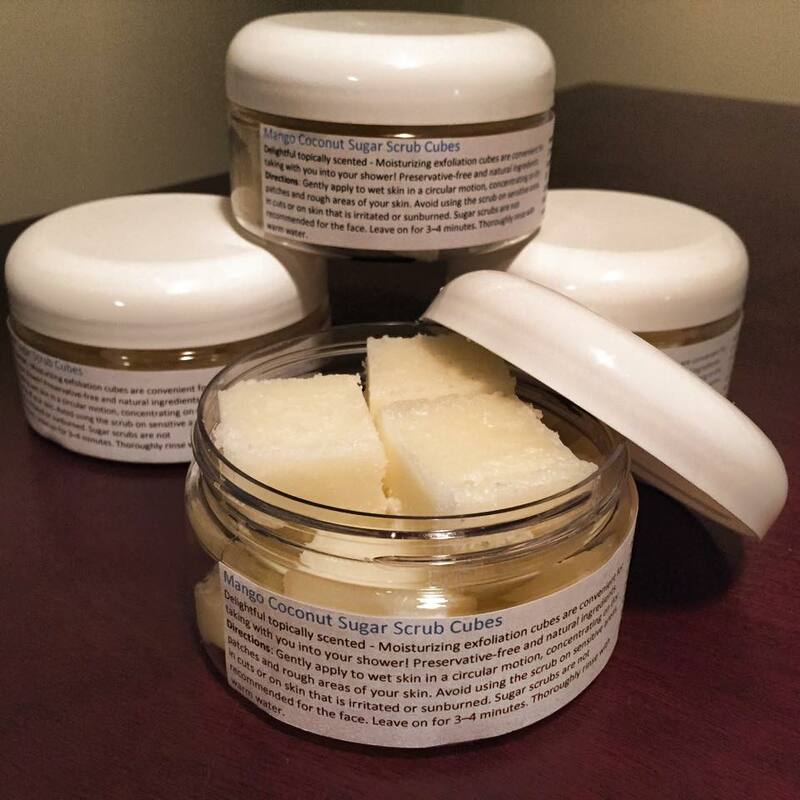 Caution: the oil in the sugar scrub can cause the tub to become slippery. These delightful topically scented moisturizing exfoliation cubes are conveniently portioned to take with you into your shower. Preservative-free and natural ingredients. No need to apply body lotion after using these! really!